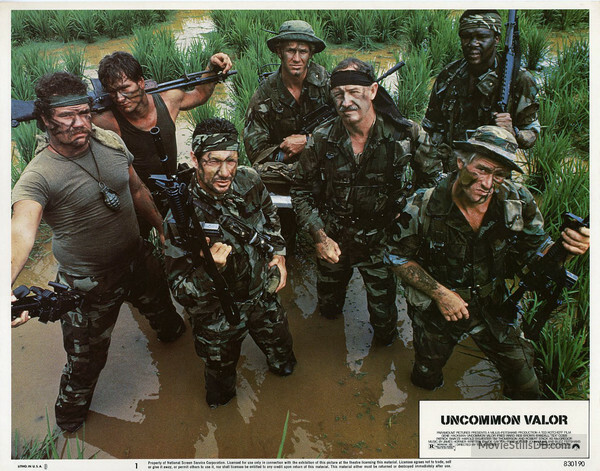 Well before Chuck Norris’ Braddock and Sly Stallone’s Rambo decided to go back to Vietnam and rescue the men left behind in POW camps ten years after the United States had pulled their troops out of the never ending war, the one and only Gene Hackman did it first thereby kick starting a sub genre of the video action hero just as the rental era kicked into high gear. Which leads me to introducing a new feature here at Mike’s Take on the Movies along with three other action hero wannabes in search of a time machine like myself to go back and relive the rental days when we’d often come home with flicks we’d never heard of but had ultra cool box covers or ones we had that had finally turned up in stores after their run at movie houses ended. 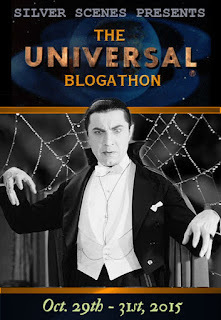 Joining me on the journey are Todd of Cinema Monolith fame, Greg over at Destroy All Fanboys and from across the pond we have Mikey as the man behind the mask at the Wolfmans Cult Film Club. Now the time has come for turning the calendar back to 1983. To do so, I decided to pick up number 2 son, Kirk, on my back and with riveting Tex Cobb like heroics I hauled him from the jungle like hedges of our backyard off to the movie room to watch Gene Hackman lead his own Magnificent Seven back to Vietnam in search of his missing son who was left behind in 1972. 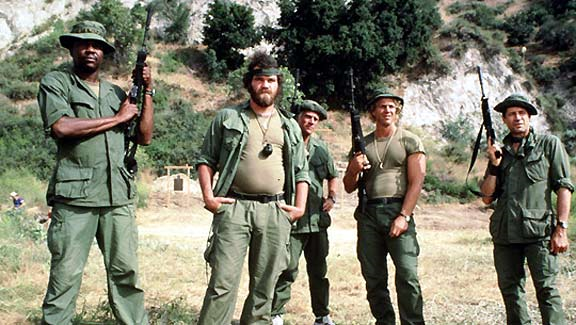 Coming off of the Vietnam influenced First Blood, director Ted Kotcheff moved on to direct this John Milius production that opens with a prologue in 1972 where our leading players Fred Ward, Reb Brown, Tex Cobb, Harold Sylvester and Tim Thomerson are evacuated from a battle zone by chopper that sees some of their comrades left behind and still alive as the Vietcong close in. Two in particular are the sons of Hackman and co-star Robert Stack. From here Gene will take center stage. The years will pass and his attempts to confirm his son is alive and being kept a prisoner with other MIA soldiers continually comes up short. It’s a full ten years later that he’ll see something in an aerial photograph that convinces him and Stack that they have the proof they need to launch their own mercenary rescue mission. 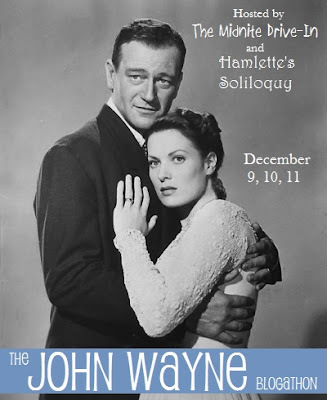 A mission funded by the wealthy Stack that will be led by Hackman into enemy territory. Next up Gene has to rally the troops he’ll need to bring the boys home. 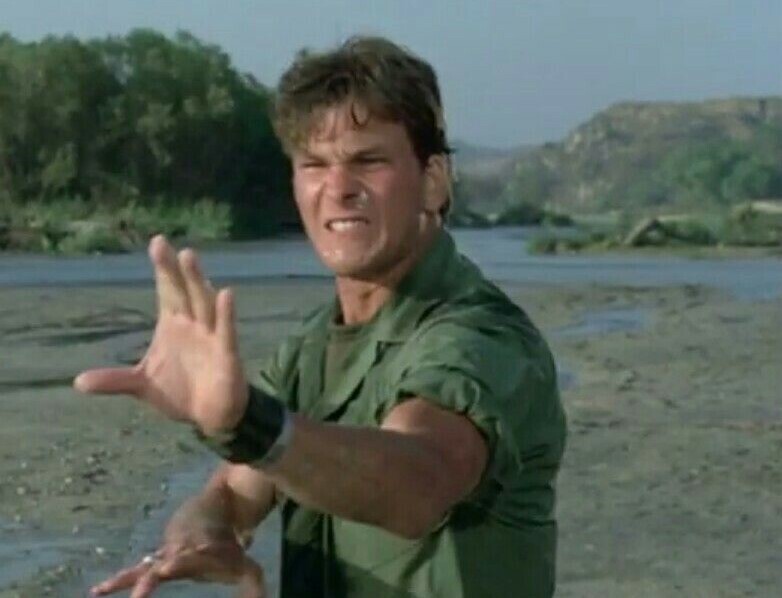 To do so he’ll call on the five men who made it home that day and have a young military drop out signed on to whip them all into shape played by emerging star Patrick Swayze. Swayze will have to prove his worth to the vets and it’s only after a can’t win brawl with Tex Cobb that his own secret will be revealed prompting the gang to welcome him into the fold. Kind of like George Kennedy beating the hell out of Paul Newman in Cool Hand Luke and from there forward be his best buddy. Like most successful men on mission flicks this one follows the customary plot device of comedy hijinks during the training sessions as the group bonds and grows to respect one another before things get all to real when the blood flows and the bullets fly. So like The Dirty Dozen and The Wild Geese the script makes room for some comical escapades. 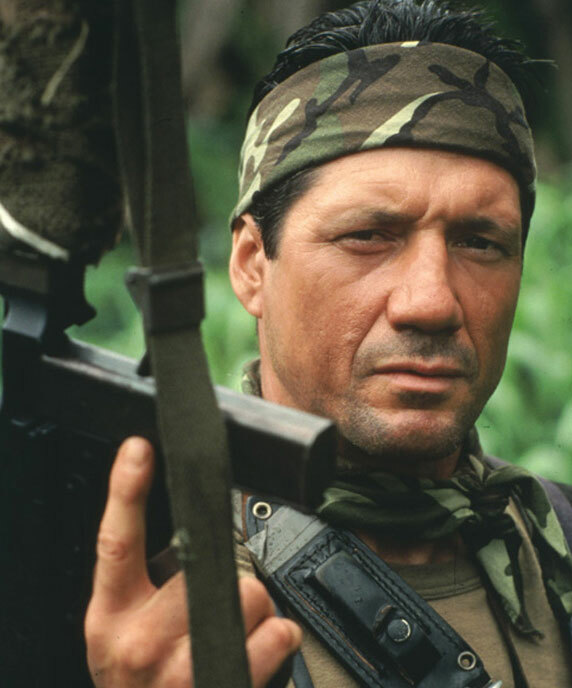 None greater than when the group must evade Fred Ward who is deadly with a knife and in chameleon like fashion can fade in to the jungle backdrop. Politics continue to mess up Hackman’s dream. For ten years he’s been led on with false hopes though legal channels and once again politics step in to derail his goal of finding his and Stack’s son alive. 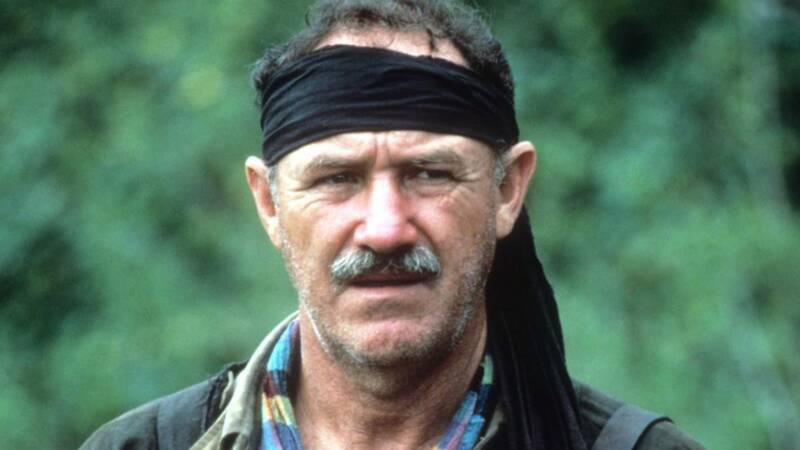 Word has been passed through backdoor politics that Hackman and a fighting force will be entering Vietnam and local police are waiting on them. With their weapons and transportation confiscated the men will have to make due with plan B by splitting into two forces with the help of a local guide and his two daughters. Explosives, bloodshed and overcoming personal demons lie ahead for the ragtag team as they make their way through the jungles to the POW camp and the men they seek to rescue. 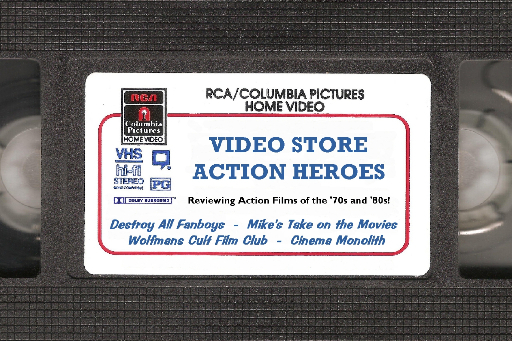 It’s an all out action sequence when Hackman’s team cut loose and tears are sure to fall at the fadeout of this perfect action flick from the days of the VHS rental. Back when we’d take the movie home for the weekend and watch it two or three times to get our money’s worth before rewinding it for the last time and placing it in the night drop box Sunday evening so we didn’t incur any late charges. There’s some stilted acting surrounding our leading cast but the members of the mission all fit their roles fine bringing along their “A” game in the acting department and their “D” game when it comes to dancing. Special mention has to go to Reb Brown for his fantastic air guitar using that assault rifle. By the time I’d seen this as a teenager I was already well versed in the career of Gene Hackman having seen his major films like Bonnie and Clyde, French Connection 1 and 2 and Superman. 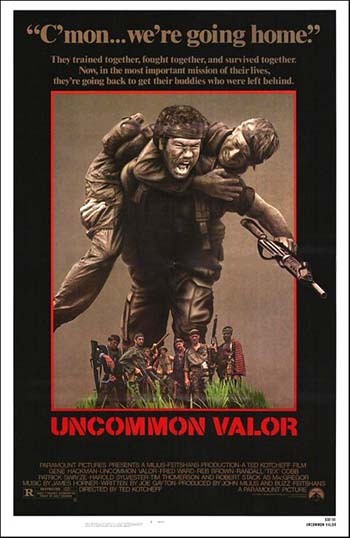 Gene would return to the Vietnam theme with another movie I’d easily recommend called Bat 21 as a downed officer behind enemy lines with only Danny Glover’s pilot looking to bring him back alive. I’ve always credited this film with being the one that put me on to Fred Ward at an early age. Been a fan ever since. Though Remo Williams wasn’t the hit it was meant to be he’s done some great work along the way and he’s the one actor I’d easily suggest came along at the wrong time. 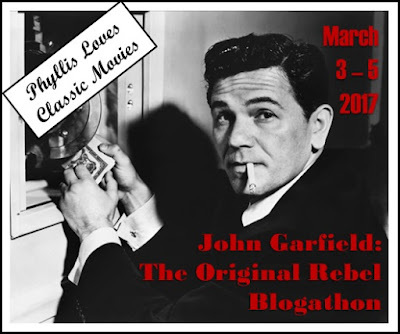 If he’d been hitting his stride in the mid 60’s he could have easily fit into Peckinpah’s stock company and the violent cop films the 1970’s had in store for us. 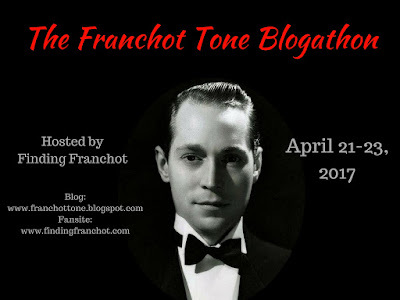 He’s another Warren Oates minus the cult following. Tex Cobb was still a boxer in my mind having seen him take a beating against Larry Holmes while Reb Brown was TV’s Captain America. Harold Sylvester is an actor with plenty of credits who popped up in plenty of TV shows and movies and for trivia hounds appeared in two movies titled Uncommon Valor in the same year! The other being a made for TV effort having nothing to do with this one. Like Sylvester, Thomerson is an actor I’ve seen turn up in countless flicks and shows. Horror hounds may know him best from the Trancers series. Other bits of useless knowledge I can pass on is actor Wings Hauser got an associate producer credit here, producer John Milius had written the instant classic Apocalypse Now and while I didn’t spot him, future American Ninja action star Michael Dudikoff has a bit in here as Reb Brown’s assistant in an early scene. Like The Magnificent Seven, these boys will get the job done though they all won’t be making the return trip home. Did my fellow time travellers get the job done at bringing the VHS rental days back to life? Scroll back up and click on those links to see what Todd, Greg and Mikey have in store for us and be sure to spread the word that we Four Horseman of the Video Tape are bringing more action packed reviews and recollections to you all in the near future. First up, that picture of you and your boy is absolutely fantastic LOL. Forget The A-Team this is The PTSD Team. You may remember that I was very late to the UV party and saw it for the first time early last year. Though I didn’t have the nostalgia element of seeing it in my youth I still loved it so much. Brought back memories of watching these kind of movies in our teens and another example of how good Gene Hackman is. As always the little titbits of fun facts adds to your most excellent review. The training montages are hysterical. I always think Jon Bernthal is a great Fred Ward got that look and tough swagger. No way I’ve never heard of “Remo Williams”!!!! No idea why! Off to investigate. I think Tex adlibbed that line after rewatching his tragic attempt to beat Larry Holmes for the Heavyweight Title. A major beating! Yeah Ward starred in a big budget Remo but it failed. Now a bit of a cult item. Thankfully Kirk isn’t too heavy! I just had a flick through the fight, oh gosh he took a right smashing and Larry didn’t look like he’s broke a sweat. But Tex just keeps coming and coming, beating after beating. He’s one tough MO-FO! I didn’t know he was a pro boxer, had always thought he was a wrestler. I fancy watching that Reno Williams sometime soon. Sounds pretty good. 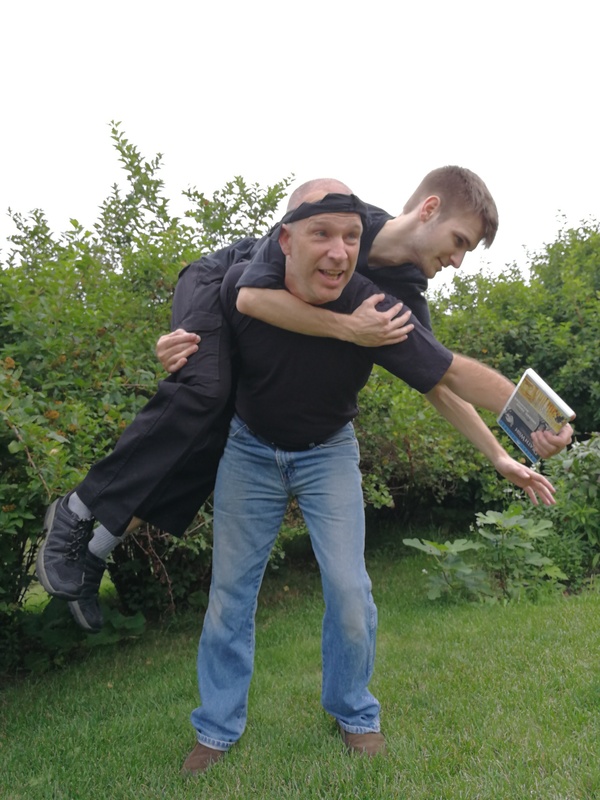 Okay, my back went out looking at that pic of you lifting your son (“But Dad… I was READING!”) and carting him off to watch that film. Photoshop and a good back brace! I need to revisit this one soon as I’ve only ever seen it in a theater way back when it was released. For some reason, I’ve never watched it on cable other than once a few years back when I caught the last 20 minutes or so. This was one of the first tapes my Mom bought me when they started to mass produce and take orders at the local store. Think she paid 30 bucks for it. Just like Greg, I saw this when it was first released, but have never watched it again. I didn’t remember how many ‘name’ actors were in this one…quite a lineup. I’m sure it’s available at the library, so I’ll have to give it another look. 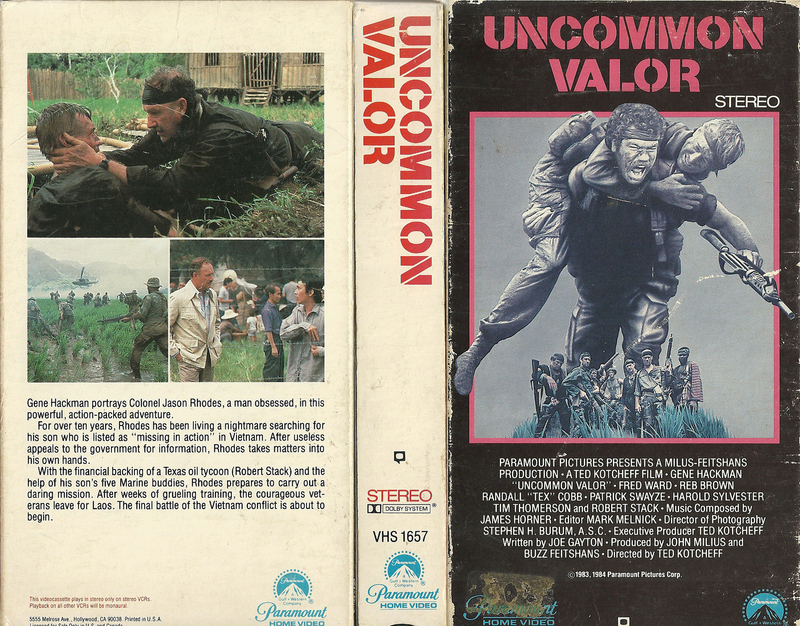 And what’s the name of the movie with the guy reading the book while hefting his son…’Common Valor’? 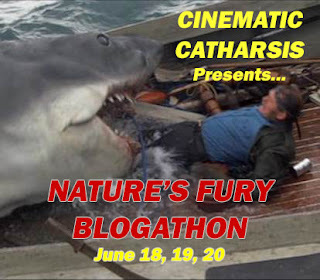 Nice entry for the blogathon, Mike! Funny thing is that s a DVD of the movie. My original sentence was “with DVD in hand I hauled” but thought it defeated the whole VHS idea. Lol. Fun movie and definately worth a revisit. Great idea. Cheers.